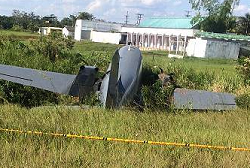 On landing the C-47 turboprop aircraft exited the runway at Tres Esquinas Airport, Colombia receiving major damage. Both pilots were not injured. It is understood that the aircraft experienced some sort of brake failure. 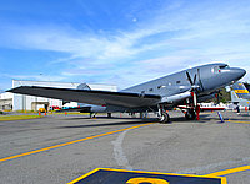 With shrinking runway remaining, the pilots made make an emergency braking maneuvre, steering the AC-47 off the runway where it came to rest on a ditch. Both pilots remained unhurt. Base operations were not hampered by the accident. 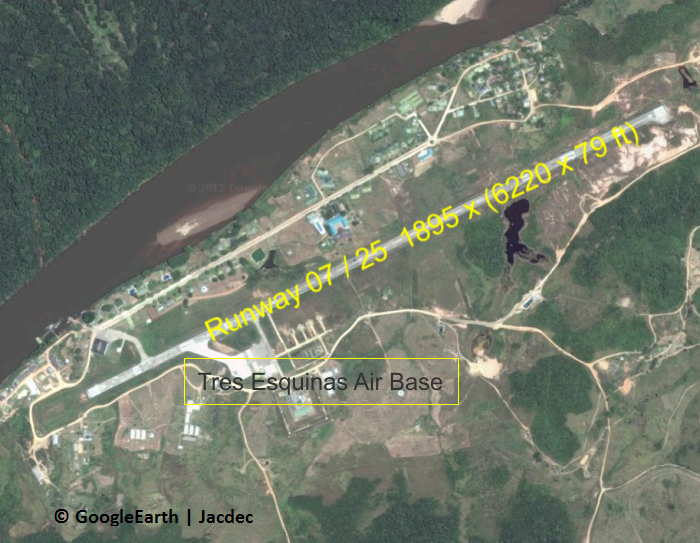 A military spokesman is quoted saying, the aircraft intended to land but „got a side momentum“ and then „stopped in the safety area“. Wether the 70 year old airframe is going to get repaired has to be determined.